The Port Shepstone lighthouse is located about 500m south of the Umzimkulu River mouth on the Natal South Coast, and was developed out of a signal station, which was used when Port Shepstone was still an operational harbour. 1906 saw the signal station being replaced with the current cast iron lighthouse. The iron lighthouse was cast in Britain and shipped to Natal in the 1890's. The structure was transported from Scottburgh, further up the Natal coast, where it previously stood warning ships of the southern end of the Aliwal Shoal. The eight meter circular lighthouse is painted in black and white cheques, and has become a familiar landmark to people visiting Port Shepstone over the years. The beam shines across a distance of twenty six miles out to sea, and 1 130 000 CD light power. The coastline extending southwards between Port Shepstone and Cape Hermes at Port St Johns is particularly dangerous, and is well known for its shipwrecks. The most well known of these wrecks are perhaps the Sao Joao and the Grosvenor. The Sao Joao was the first cargo ship to be wrecked along South Africa's coastline, carrying pepper, Chinese porcelain, cowry shells, cornelian beads and other merchandise. The ship, with around 600 people on board, ran aground off what is now known as Port Edward, near the Kuboboyi River. One hundred died attempting to get ashore, the rest made a temporary camp, near 'Tragedy Hill' (since named for a massacre in 1831 of the local Nguni clan by a Zulu war band). The Grosvenor sank beneath the waves off the Pondoland shore with her hoard which legend insists included jewels, gold and silver bars and some say the fabulous Peacock Throne of the Moguls, believed to be worth well over 6 Million Pounds. 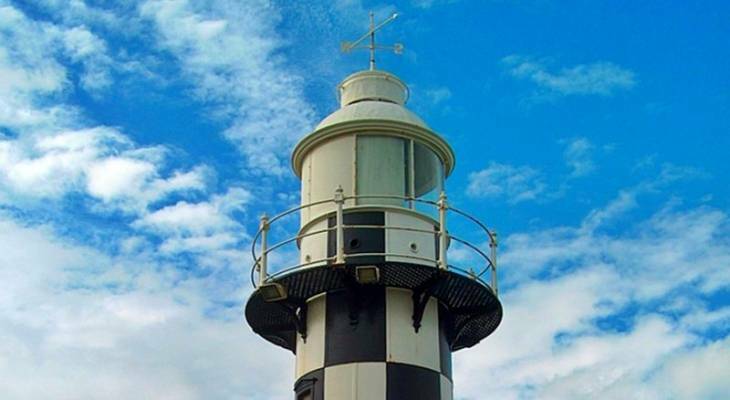 Port Shepstone Lighthouse Information and Nearby Accommodation.